On this encore edition of The 21st: Activist Susan Burton tells us about her extraordinary journey from being incarcerated to becoming one of the nation's foremost advocates for incarcerated women. Plus, if you can't get enough of the musical 'Hamilton,' a new exhibit is coming to Chicago this fall. The United States incarcerated more than 2.2 million people behind bars according to the latest government data, more than any other country in the world. And since 1980, the incarceration rate for women has increased 700 percent. Most of these women are imprisoned for nonviolent offenses. And when they’re released, the challenge is staying out. We also know that in the state of Illinois, nearly half of all incarcerated people are back behind bars within three years of being released. But among the women one California nonprofit works with, in 2015, 96 percent stayed out of percent. That’s a 4 percent recidivism rate. It’s called A New Way of Life. And they say they’ve been able to help these California women with successful reentry at about half the cost it took to incarcerate these women. Susan Burton is the founder of A New Way of Life. 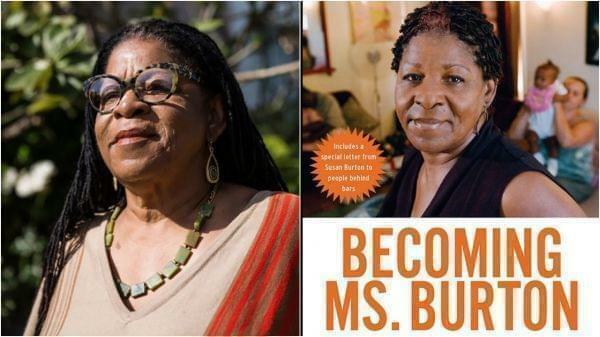 She’s also the author of Becoming Ms. Burton, which chronicles her own extraordinary life story from incarceration to creating A New Way of Life. We spoke with Ms. Burton back in May when she visited with the University of Illinois’s Education Justice Project. It’s been nearly three years since the show first opened on Broadway. And since then it’s spread to dozens of major cities across the country and even to the UK. We’ve also seen it grow beyond the musical itself, in the form of additional music and even a new book. Now, Chicago is getting its own exclusive exhibition opening on Northerly Island this fall. Hamilton: The Exhibition. It’s being billed as a one of a kind, interactive look at the story of America’s founding, all told from the perspective of Alexander Hamilton. Chris Jones is the theater critic for the Chicago Tribune. He reported on this for the paper and he joined us on the show to talk about this.